This guide outlines how a partnership with a PEO can lower costs related to your 401(k), healthcare, and other employee benefits. Not all benefits are created equal. 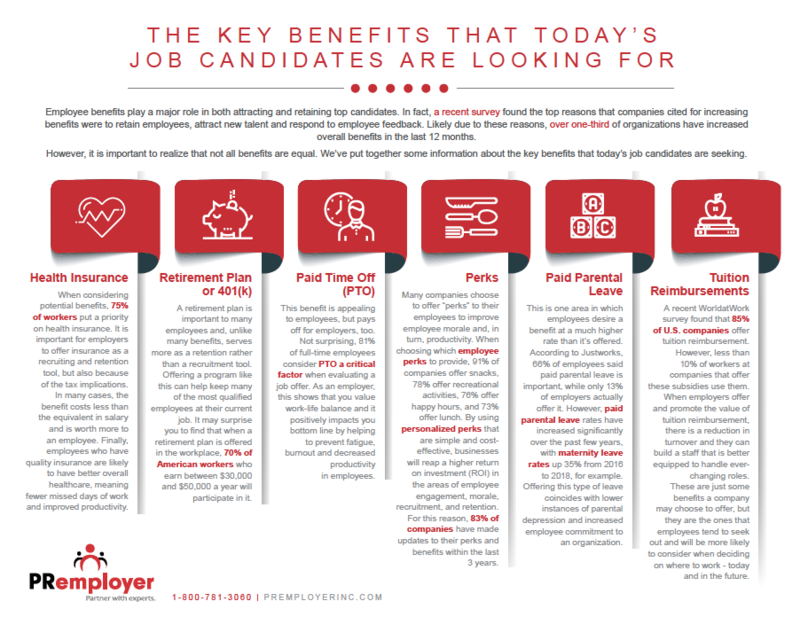 See this one sheet of what candidates are seeking. 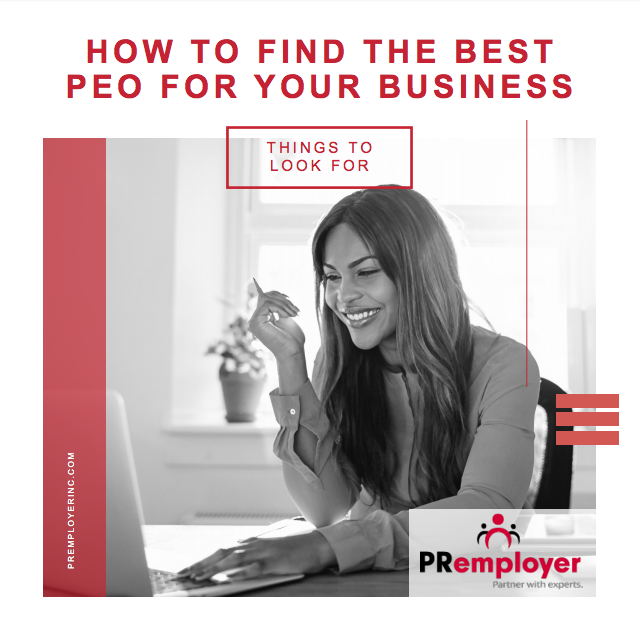 This guide outlines key things to look for in a PEO in order to choose the best partner for your business. 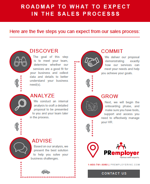 Here are the five steps you can expect from our sales process at PRemployer. 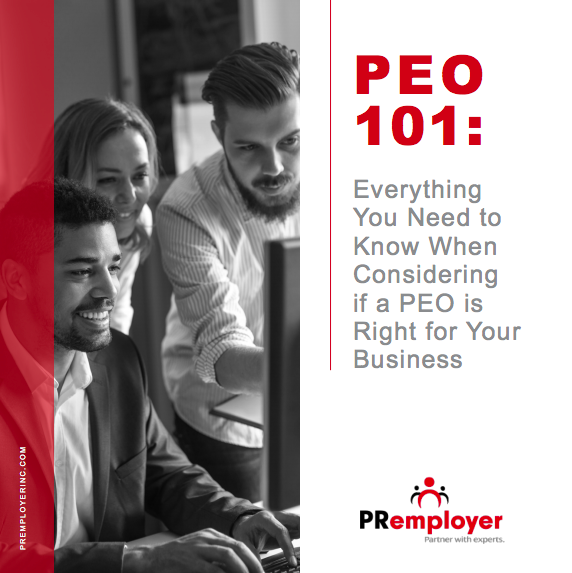 Everything you need to know when considering if a PEO is right for your business. 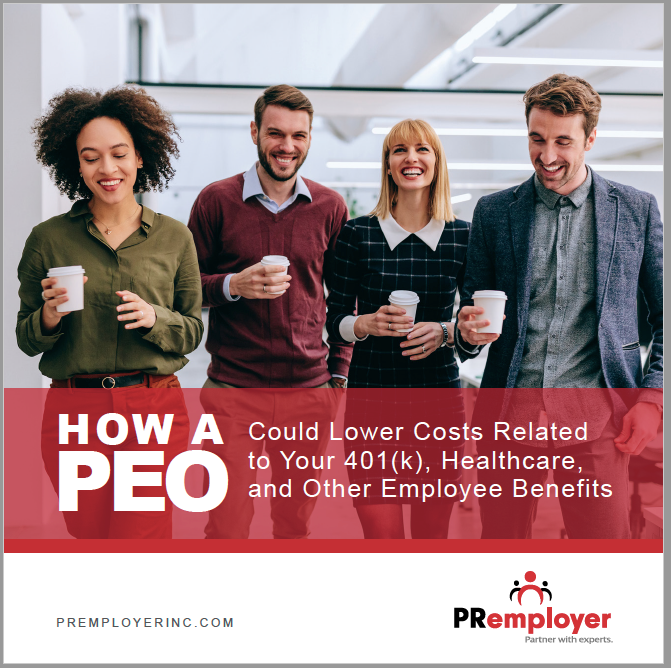 What factors should you consider when choosing a PEO?